27 iconic and easy to make Japanese Recipes. Whether you’re a pro or just starting out in the kitchen, there’s something for you here! It’s no secret. My love for Japanese food runs deep. From growing up with a Japanese mother – to the time I spent living in Japan, the tastes of dashi and miso are so ingrained in my personal taste lexicon that I can’t imagine a world without them! In fact, back in the day when I started Pickled Plum, it almost exclusively became a Japanese Recipes blog. But you KNOW I love ALL food! I’d never trade the privilege I have of writing about a yummy paella one day – and then writing a post on Asian side dishes from all over the next. This post is going to focus on easy meals and food ideas that skew Japanese as well. 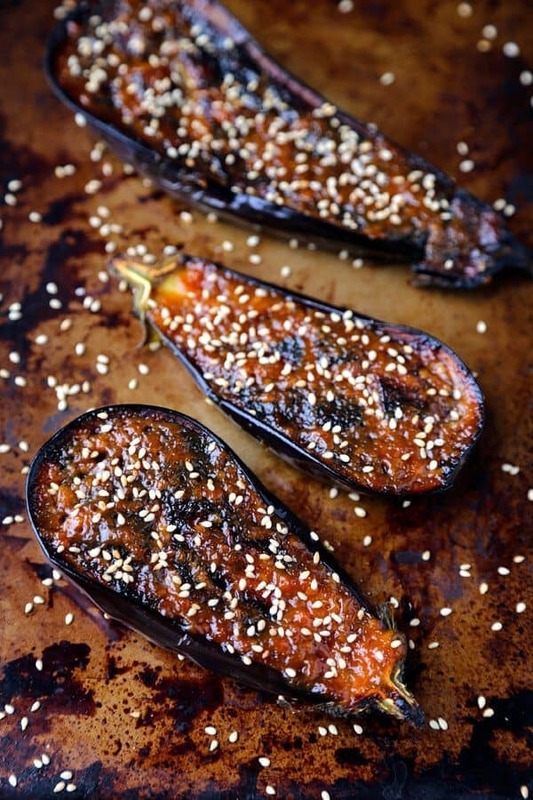 So whether you’re looking specifically for Japanese eggplant recipes – or just a quick recipe you can whip up for dinner on a random Tuesday night – my hope is that this post becomes your go-to resource for all things Japanese food related. …even if you’ve never tried once, it’s much easier to get started cooking Japanese food now than it was just 20 years ago. And the reason is pretty simple. Sure, we had the internet 20 years ago, but it wasn’t nearly as polished or saturated as it is now. 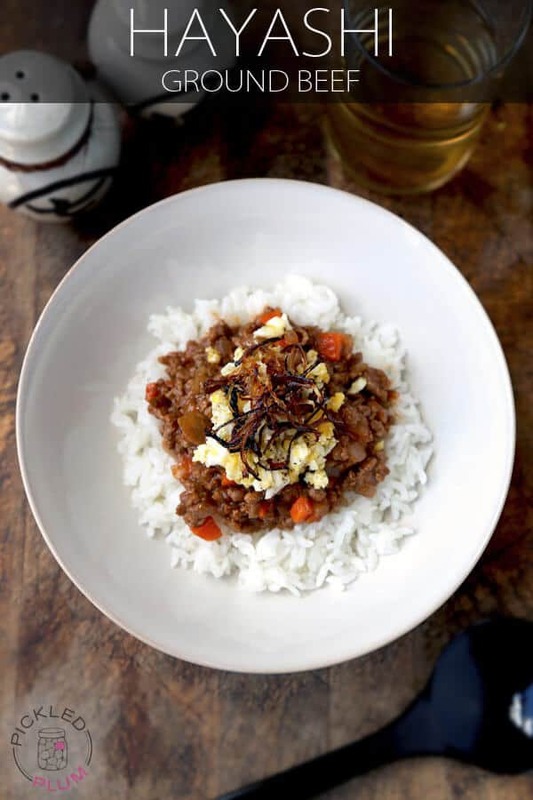 These days, you’re only a Google search away from finding tried and tested Japanese food recipes that range from truly authentic to creative and genre bending. And, aside from the myriad recipes that are out there, we now have unprecedented access to traditional Japanese food ingredients. It’s literally click, click, buy on anything from yuzukoshō to tororo kombu. Back in the day, getting stuff like that outside Japan meant you probably lived in a major metropolitan area with a large Japanese population. And that excluded a ton home cooks out there from the running. So, let’s hear it for next day shipping! By the way – if you’re looking to get your own in-home Japanese pantry off the ground, here’s a short primer on some of the more common Japanese ingredients. 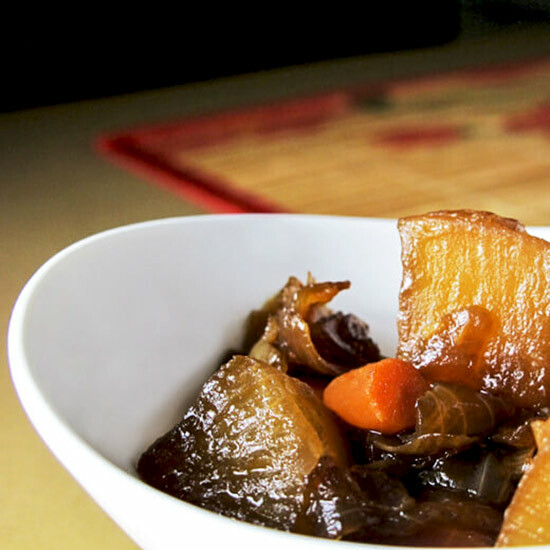 Most Japanese recipes can be placed into one of two categories: washoku and yōshoku. An extreme oversimplification of those terms is that washoku is the traditional cuisine of Japan, which is usually reliant on in-season ingredients. So, when you eat classics like Japanese pickled vegetables or oden or miso glazed grilled fish, you’re likely eating washoku dishes. Another super over-simplified explanation of a nuanced issue is that yōshoku is food containing some Western (or foreign) ingredients and flavors, prepared in a style that appeals to the Japanese palate. Therefore, food like ramen and gyoza that have their origins in Chinese cooking (sometimes this is also referred to as chuuka) – and spaghetti Napolitan, many au gratin dishes, and korokke (croquettes) which skew Western – are yōshoku. It’s super difficult to know where the line is drawn! So many things we assume are straight-up Japanese recipes have actually been absorbed into the Japanese food sphere and perfected for the Japanese palate. My opinion on the matter is that, no matter where dishes like curry and spaghetti Napolitan came from originally, they have become Japanese over the years through their ubiquitousness in Japanese food culture. One of my favorite things to do in Japan is go to bookstores. Remember those!? Since food is such a big deal in Japanese culture, it stands to reason that the cookbook section at any bookstore is absolutely overflowing with glossy, photo filled cookbooks. Not only do I get a kick out of seeing Japanese recipes I’d like to try my hand at preparing – I also love absorbing the interesting Japanese food presentation sensibilities. While the inspiration is undeniable, you KNOW I leave the bookstore ravenous. Then it’s on to lunch where, not only do we eat, but we usually end up planning where to go for dinner at the same time! And, who knows, I might just repeat the cycle the next day. The time I spend obsessing over food in Japan inevitably influences the work I do in my kitchen when I return home. I sure love my tasty research! So… On to the food! Looking for Japanese noodle recipes? How about Japanese chicken recipes? I’ve got you! Heck, one of my favorite easy Japanese dessert recipes of all time is included below as well. However, these are more than just meal ideas to me. They’re recipes I grew up eating – and that tip the proverbial cap to the Eastern portion of my shared Japanese / French Canadian heritage. And whether you’re a pro or just starting out in the kitchen, don’t be intimidated! Most of the old barriers to preparing Japanese dishes in your home kitchen have lowered considerably in the last couple of decades. Yay, internet! However, it can be hard to know where to turn for easy to follow recipes. My hope is that these 27 easy Japanese recipes become a resource you can return to for ideas – your very own Japanese recipes 101. Click the pictures or titles below to find the recipes. Enjoy! Classic Japanese comfort food! We make omurice whenever we have leftover Japanese rice in the fridge. 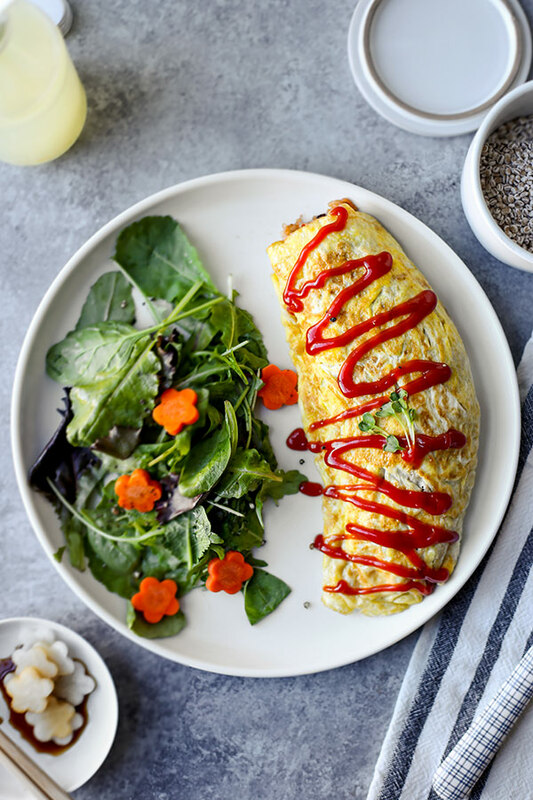 Omurice is basically ketchup flavored vegetable fried rice wrapped in a fluffy omelette. Sounds simple? It is and it’s also very delicious! Another classic comfort dish. 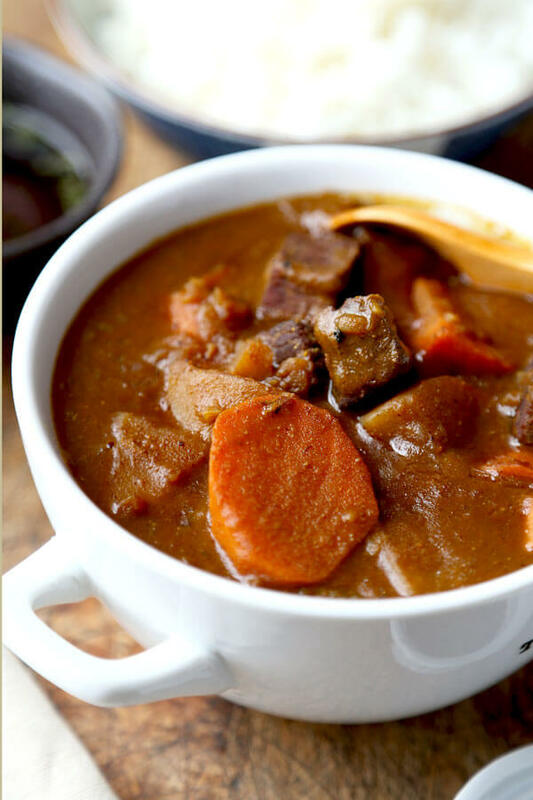 What makes Japanese curry different from other curries is its sweetness and lack of spices. Think of kare raisu (pronounced kah-ray rye-soo, which means curry and rice) as a rich and thick gravy that’s sweet and savory. It usually comes with potatoes, carrots, onions and beef. I like to omit the beef and instead add mushrooms and zucchini. 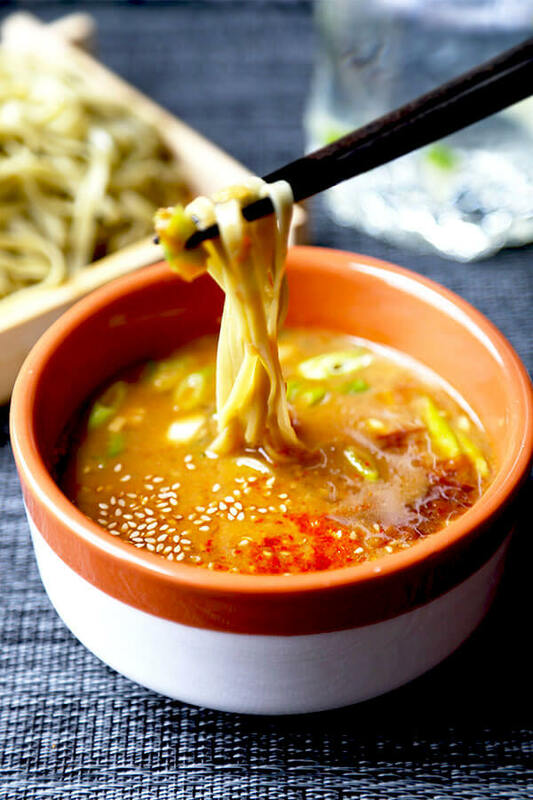 Miso ramen hails from Northern Hokkaido where the winters can be as harsh as those in Canada! 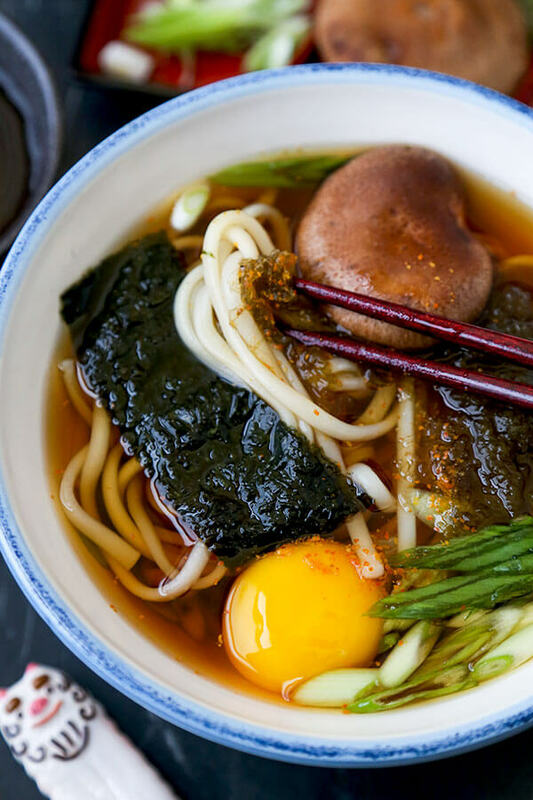 It’s a rich, cloudy broth packed with umami and sweet earthiness. It can be very complex in flavor or simple like my recipe! This is one of the most popular recipes on my blog. It’s also one of our favorite salad dressings. 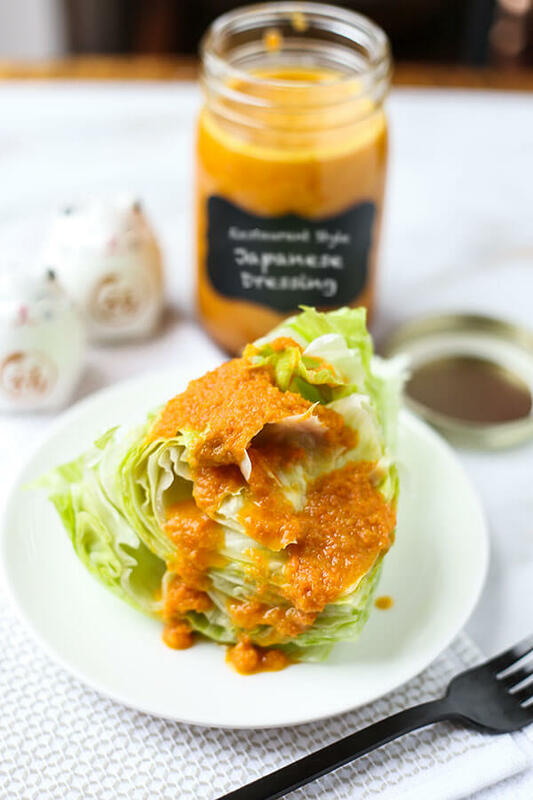 This Japanese carrot dressing is sweet and tangy which makes it the perfect accompaniment to cold vegetables. It will turn any boring green salad into a refreshing and tasty one! Pairing cabbage with bonito flakes is a classic Japanese technique. 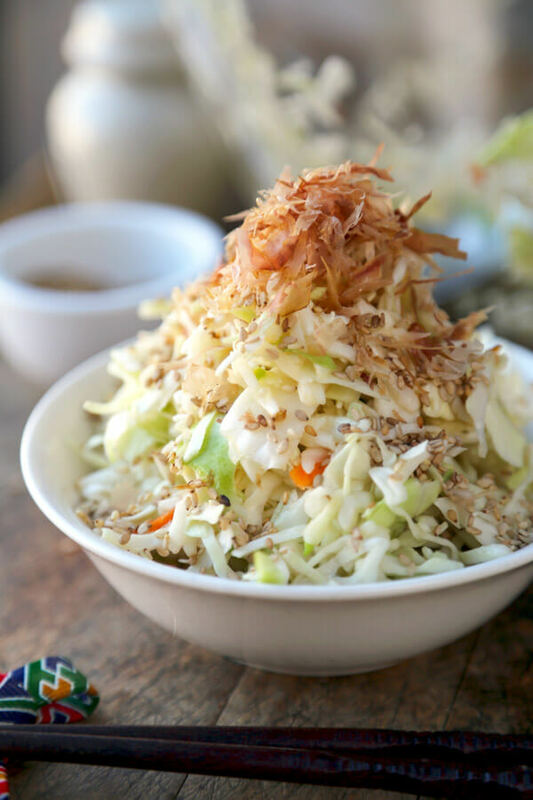 You would never think that pairing dried fish flakes with shredded cabbage would taste so good – and yet it does! A simple vinaigrette of soy sauce and rice vinegar bring just the right amount of acidity to this spectacular salad. Another classic Japanese food pairing that’s worth trying – soy sauce and butter. Wow wow wow! 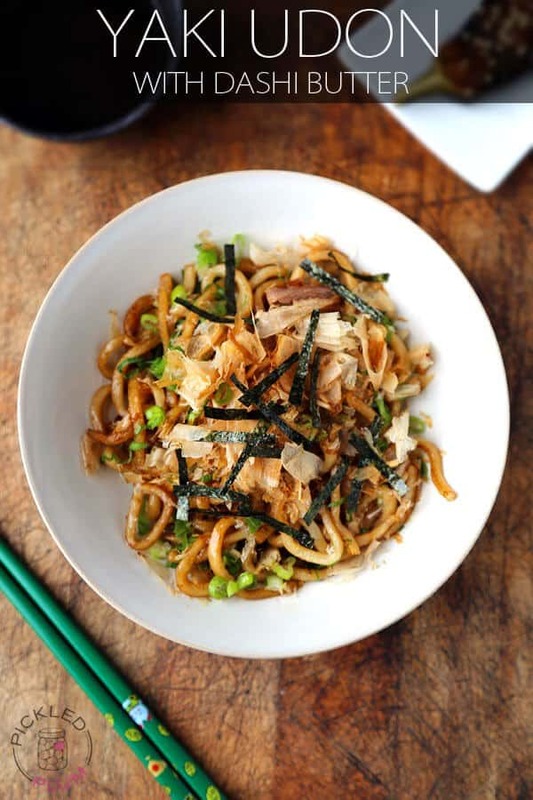 Yaki udon is basically cooked udon noodles pan fried with soy sauce and butter topped with fresh scallions, nori and bonito flakes. What you get are 100% real Japanese flavors dancing on your tastebuds. It’s phenomenal! 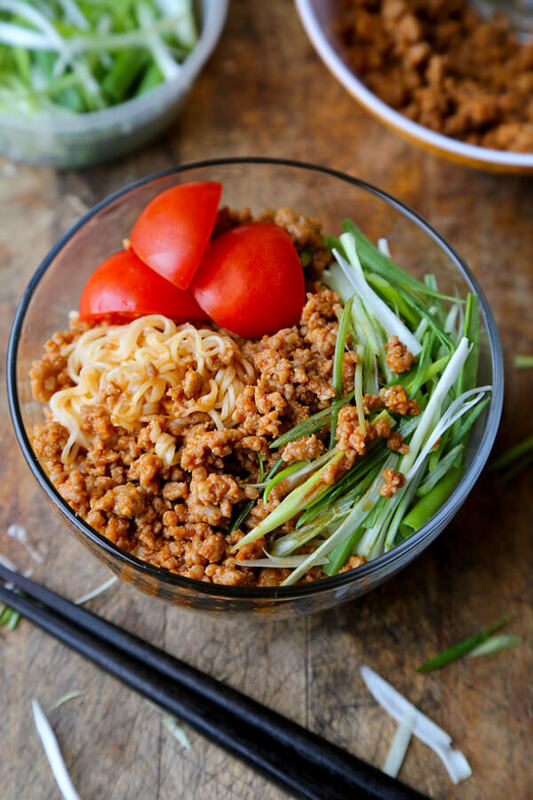 This classic Japanese noodle dish uses Korean chili paste to add heat and color. But rather than being spicy, it’s more sweet, nutty and smoky. 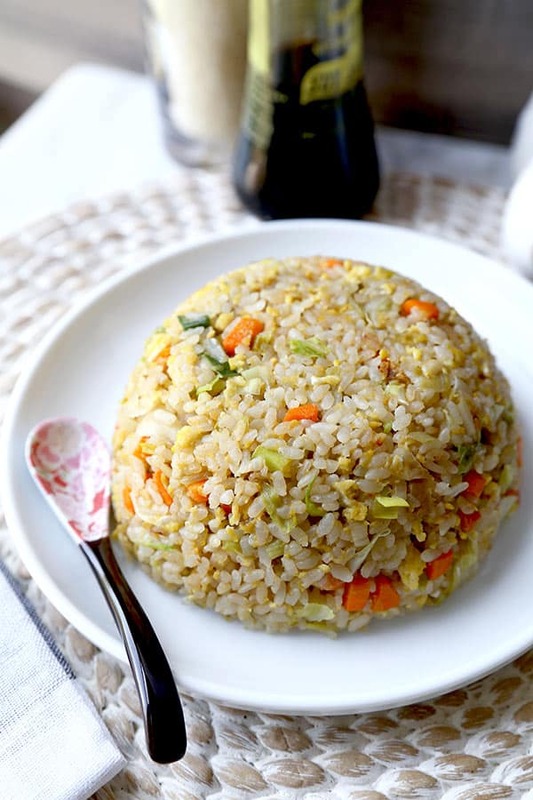 Japanese fried rice is Ben’s go to dish when he wants to make something quick and delicious. The flavors, although quite subtle, are fragrant and very comforting. Sprinkle a pinch of white pepper to add a kick to it! 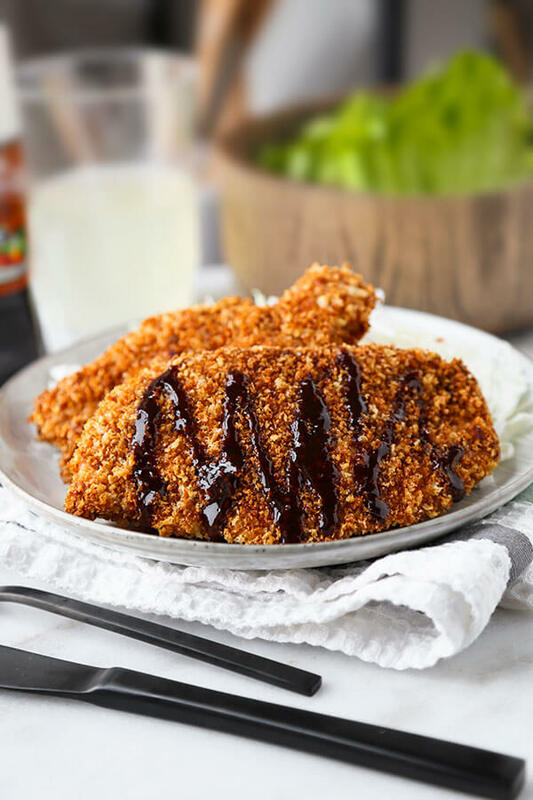 Classic chicken katsu is deep fried. You may not find baked chicken katsu on any Japanese menu but I’m here to tell you it’s beyond delicious! Not only do you save on calories and fat, you get the exact same breaded texture and salty goodness of the original dish. Gratins are very popular in Japanese cooking. If there is a way to serve a dish with melted cheese on top, they will find it! Mixing a little miso paste to impart a little umami to to the creamy sauce means there is no need to add salt. The dish is extremely flavorful and the veggies are moist and so tender they almost melt in your mouth. One of the best things about Japanese food is the love for noodles. There are so many different ways to present and cook noodles! Tsukemen is not as popular as ramen but just as yummy. Instead of serving the noodles in broth, the broth is more concentrated and served on the side. Japanese people are geniuses with eggs. 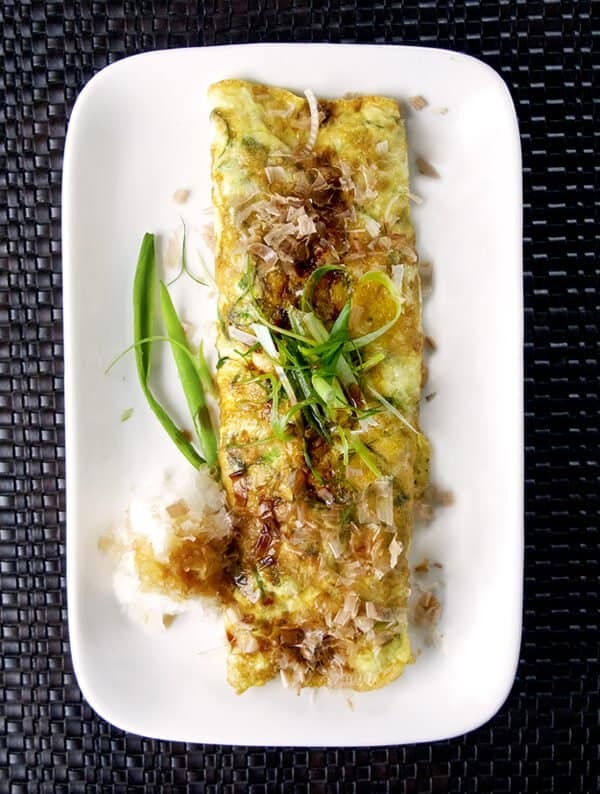 Leave it to a Japanese housewife to present you with the most fluffy and flavorful omelette. 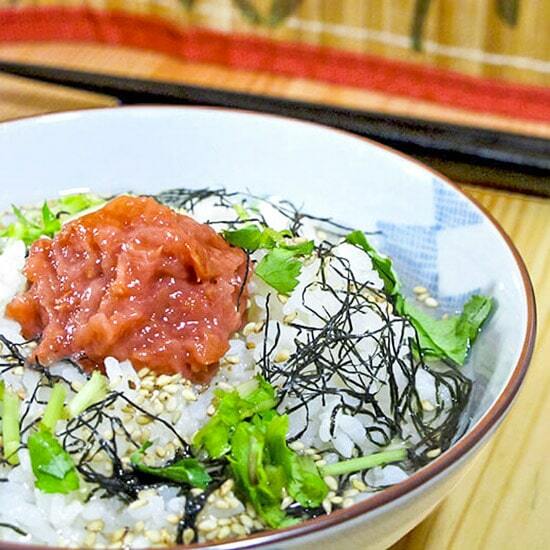 Top it with some katsuobushi (bonito flakes), scallions and a dash of soy sauce for the perfect brunch meal. I could have noodle soup every day for lunch for the rest of my life. There is something addictive about the savory, umami and sweet broth that comforts the soul. What’s also fun about noodle soup is that you can dress it up or down with the toppings of your choice. 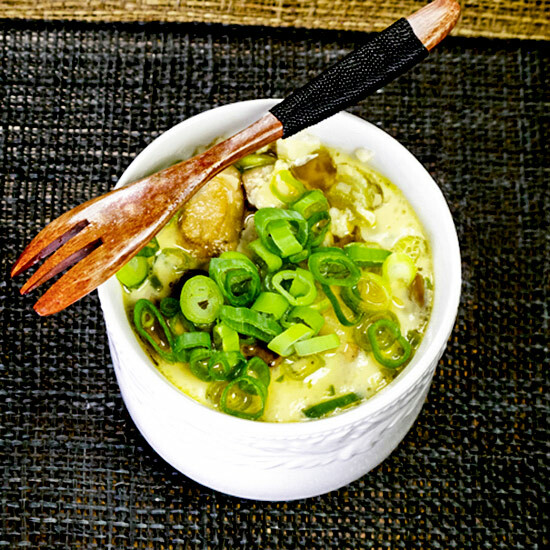 Steamy egg custards the texture of silken tofu and flavored with dashi. You’ll also find surprises in there as they usually come stuffed with fish cakes, shrimp, mushroom pieces and beans. It’s one of my favorite side dishes. So healthy, so pretty, so yummy! I heart soba chirashi. 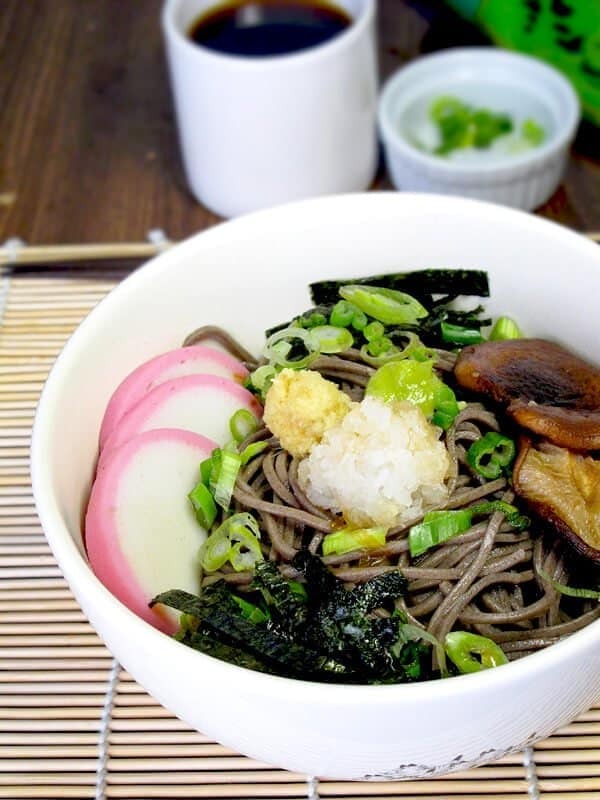 Buckwheat noodles served with a tsuyu sauce and topped with grated daikon, fish cakes and shiitake mushrooms. Healthy has never tasted so good! This. This you have to try! This will convert any tofu hater into a lover. 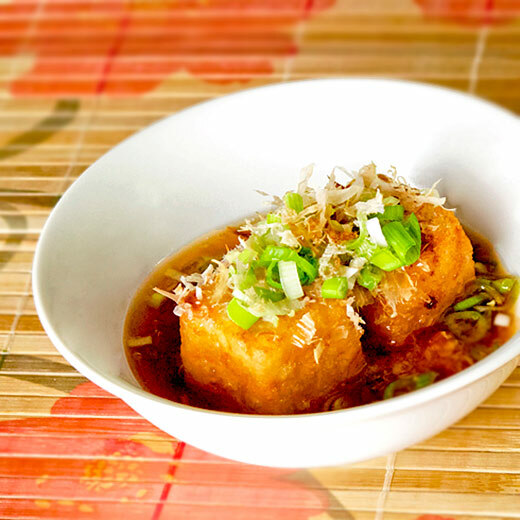 Agedashi tofu (or doufu) are silken tofu cubes dusted with potato starch and deep fried until the exterior is crispy. It’s then served with a warm bonito tsuyu broth, grated ginger and daikon. It’s sublime! I’ve been eating kinako dango since I was a little girl and I am still as much in love with this dessert as I was all these years ago. The dish is very simple; rice flour mixed with water that are shaped into little balls. 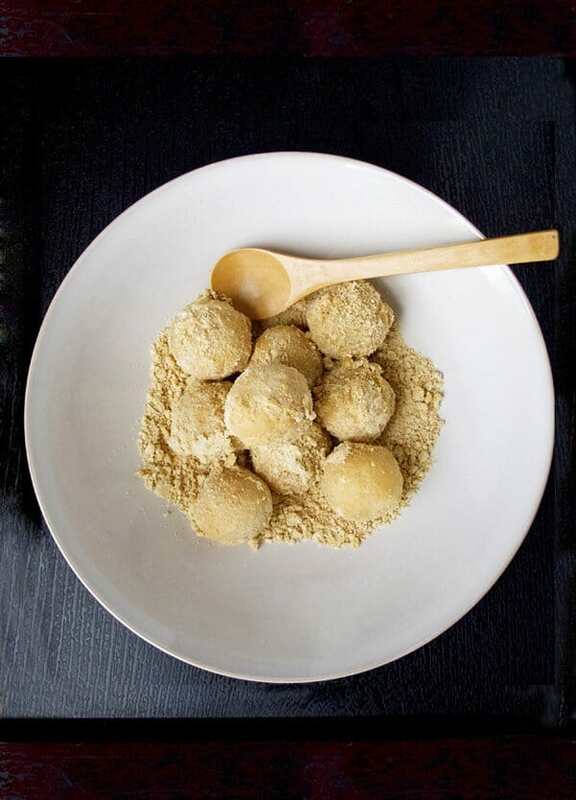 They are then boiled until they transform into doughy dumplings and are dusted with kinako (soybean flour) mixed with sugar and a little salt. This is a must try! 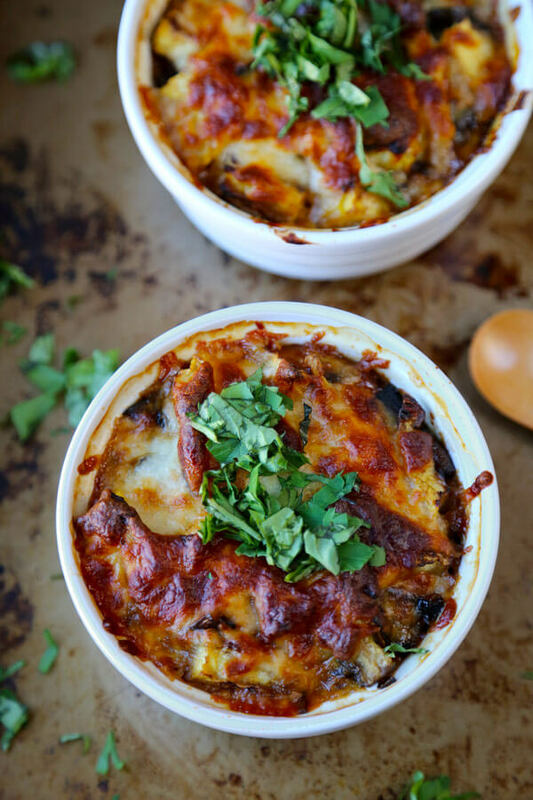 The most tender eggplant you will ever have! The eggplants are scored and pan fried until they are golden brown. Then they are transferred to a baking sheet, brushed with a sweet mizo glaze and broiled for a few minutes. YUM. This could be the easiest dish to make out of this roundup. Ochazuke is basically green tea poured over Japanese rice and served with various toppings. It’s usually served at the end of a meal to use up what’s left of the rice. 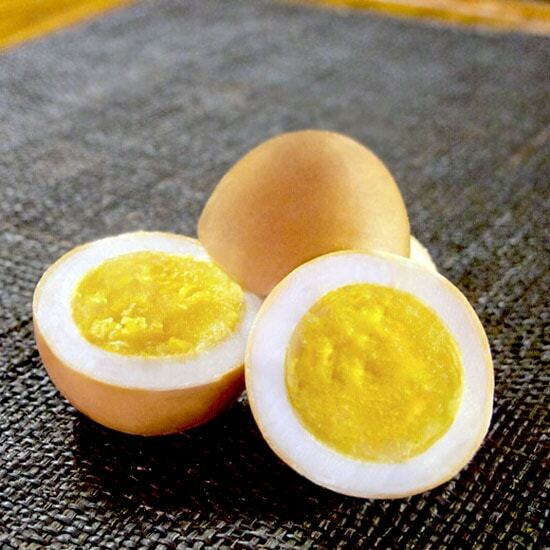 Ramen egg anyone? 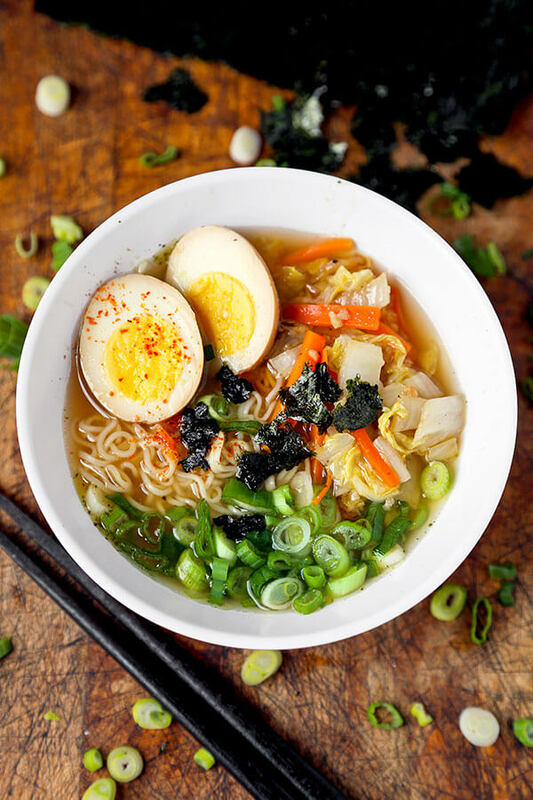 No Japanese ramen is complete without a soy flavored egg. We eat them as a snack too, they are so delicious we can’t keep our hands off them! I have a cousin in Japan who makes excellent white stew (also called cream stew). When I asked what her secret was, she said she used a premix package! That’s the thing about Japanese food – they are excellent at simplifying cooking in the kitchen by creating stocks that need no extra seasoning. If you can find it – like, here on Amazon – then get it, it’s really good I promise. But let’s face it – it won’t be as healthy as if you made it from scratch. 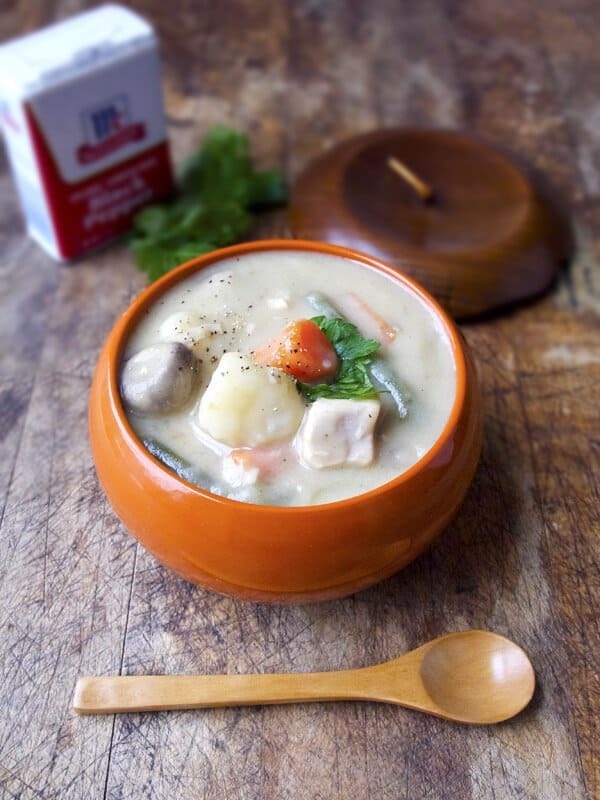 My made from scratch white stew is actually very easy to make. Is it better than the premix? I would say it’s just as good! Gomuku gohan means “five item rice.” It’s a quick rice dish that’s similar to a pilaf. 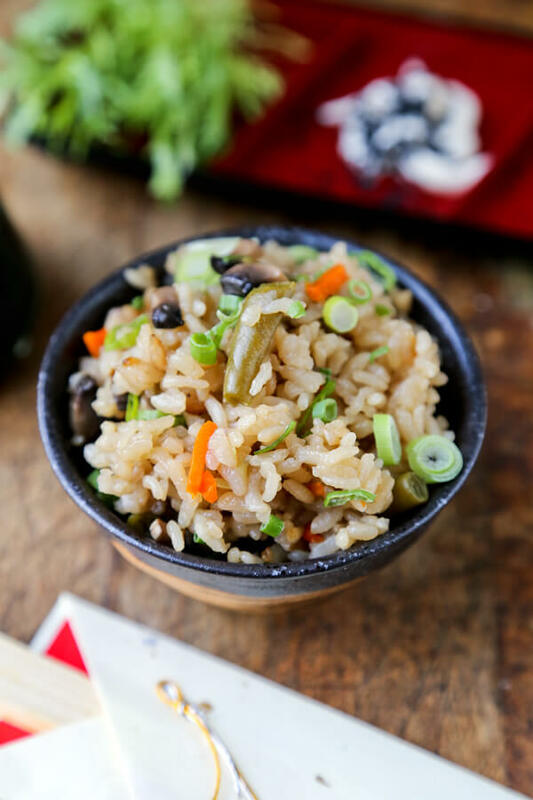 I’m using a rice cooker for this recipe because it’s simplest and easiest way to make gomoku gohan. All you have to do is add water, flavoring, chopped ingredients and rice to the rice cooker and press start. The flavors are savory and deep in umami. Hayashi ground beef is ground beef sauteed with beef broth, sake, ketchup and worcestershire sauce. It’s one of those dishes you can whip up in no time and that’s guaranteed to make your family very happy! Silken tofu in its purest form. 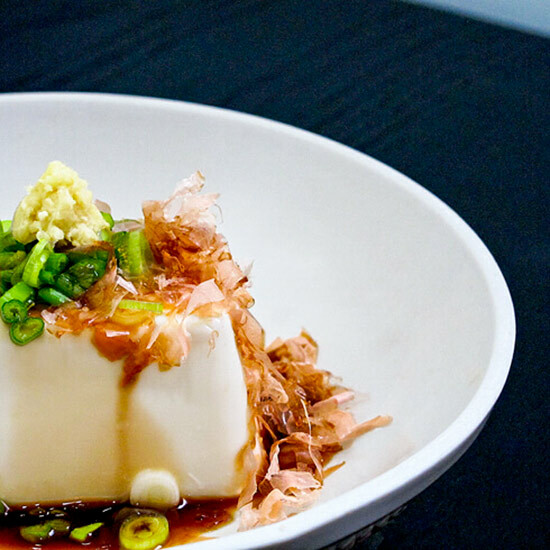 For this dish to truly shine, find some high quality silken tofu (visit a Japanese supermarket) and amakuchi (sweet) soy sauce. Grate a little fresh ginger on top with some chopped scallions and you will have a very traditional Japanese dish at your table. This dish is ooey gooey and super tasty! 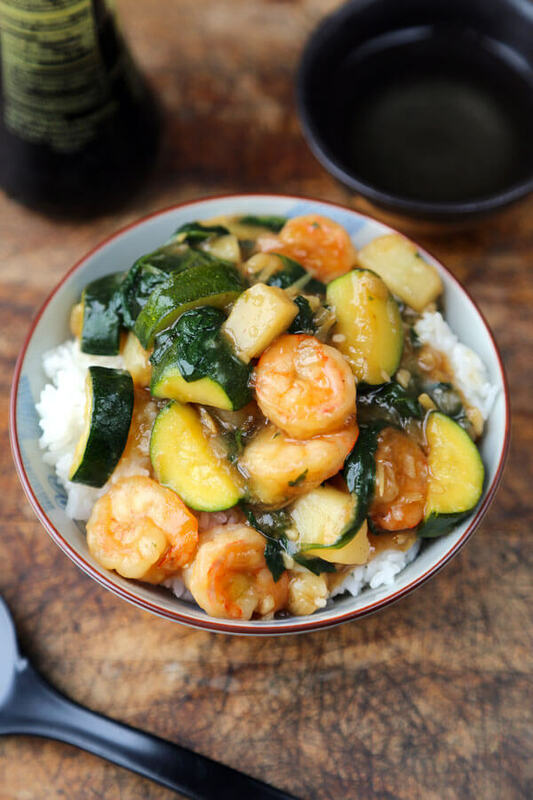 You can substitute shrimp for chicken and zucchini for something more traditionally Japanese like onions or napa cabbage. The flavor profile is classic of Japanese cooking – a little sweet, earthy and savory. 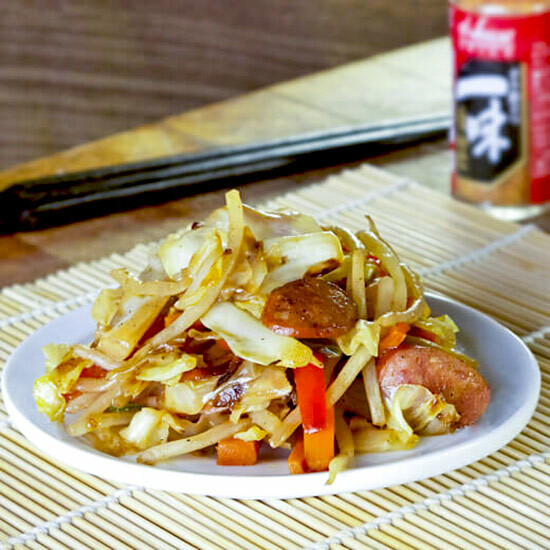 Yasai itame is stir fried veggies. That’s it, plain and simple but oh-so-delicious. Last but not least, oden is what Japanese people consider winter fast food. You can find it sold in convenience stores across Japan at checkout counters. It’s basically a mix of vegetables, fish cakes, boiled eggs and konnyaku (devil’s tongue jelly) simmered in a kombu and dashi broth. It’s super simple and yet I can never get enough of oden. Did you like these 27 Japanese Recipes? Did you find what you were looking for? Share your tips and recommendations in the comments section below! 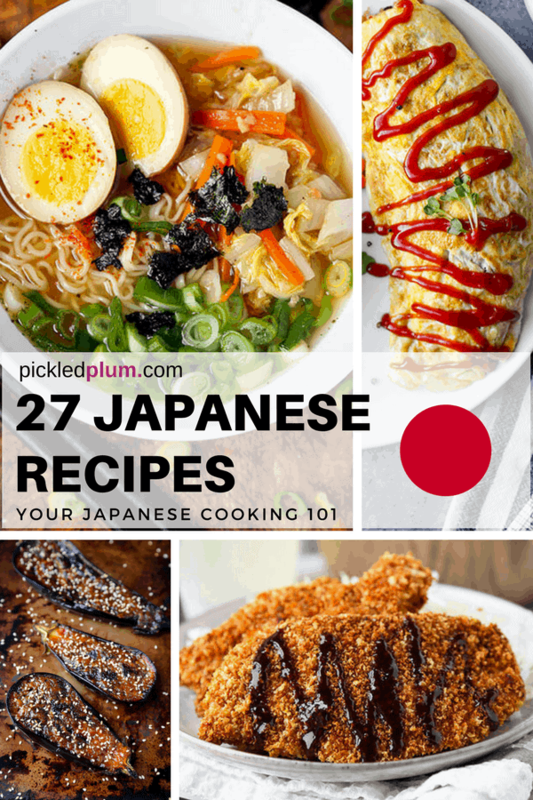 The post 27 Japanese Recipes You Can Make At Home appeared first on Pickled Plum Food And Drinks.